Thank you for your interest in Knox Winning Smiles. 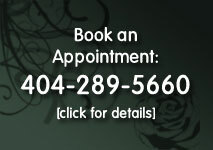 We are certain that you will enjoy your experience with us, and will be rewarded with the beautiful smile you deserve. We do accept emergencies. Call us immediately at 404-289-5660. You may also submit a request through our contact form. A member of our team will call you back at the number you provide. If you are a first-time visitor to our office, you will be required to complete some standard forms. For your convenience, we have made those forms available here on our website for you to download and print. You may complete the forms and bring them with you to your appointment. Click here or on the image below to download our office forms.